Dr Justin Lane,Consultant Anaesthetist and Pain Specialist is the latest addition to the Aut Even Consultant cohort. Dr Lane will be a great addition to the Pain Medicine service which is already well established at the Hospital and he will provide GPs and patients with greater access to a pain medicine service, an area that is currently growing in terms of referrals and patient demand. 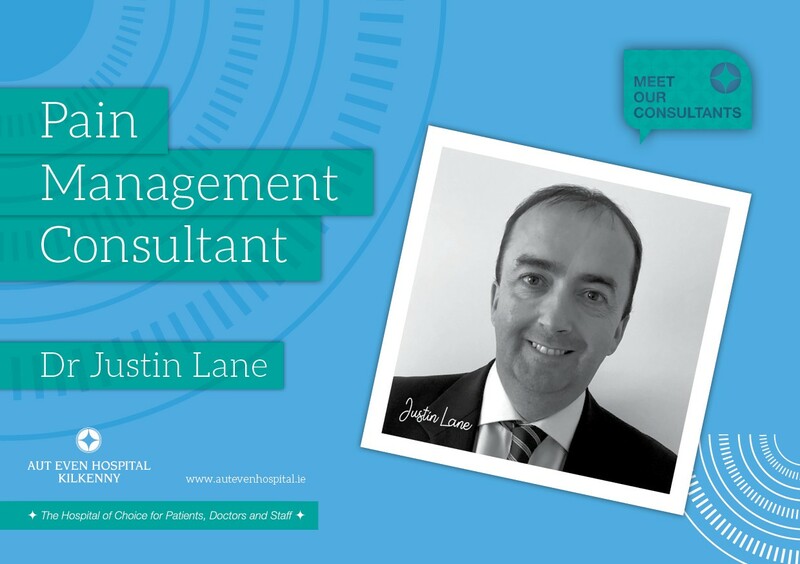 Dr Lane is on the specialist register of the Irish Medical Council. He graduated from RCSI in 1996 and completed the Irish Higher Specialist Training Programme in Anaesthesia, Pain and ICU. Following this, he completed a clinical Fellowship in Chronic Pain at McMaster University, Hamilton, Ontario. Until recently he worked as a Consultant in Pain Management, Anaesthesia and Intensive Care Medicine in Sligo University Hospital, the Northwest Hospice and Kingsbridge Private Hospital, Sligo. Aut Even management and staff are delighted to have Dr Lane on board and look forward to working with him and building his practice within the South East. An appointment to see Dr Lane in his clinics can be done via a GP referral letter. Queries can be made to 056-7775174.